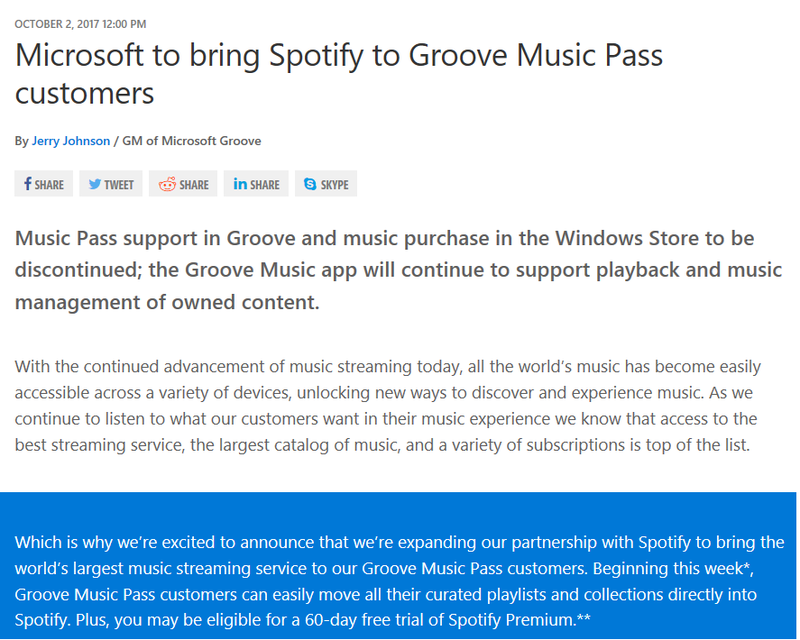 Music Pass support in Groove and music purchase in the Windows Store to be discontinued; the Groove Music app will continue to support playback and music management of owned content. If you are still reading this (and I hope you are), and are still wondering what this Groove Music thing is, here is the short version of what it is. Groove is just like Apple Music, or Spotify, or many of the other music streaming services that exist today. Groove started as the Zune Music Marketplace, back when Microsoft wanted to go head to head with Apple’s iPod. After the Zune service faltered and was discontinued, the service itself continued with the renaming to Xbox Music. After a couple of years of Xbox Music, the service was renamed again, just before the release of Windows 10 and became Microsoft Groove. 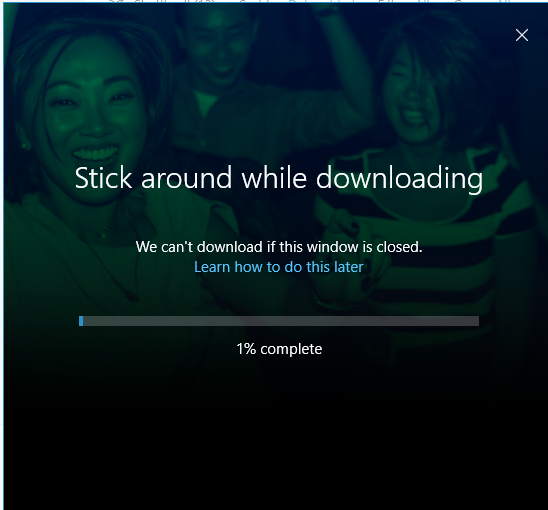 So Why Does Groove Shutting Down Matter To You? There is one import situation that could matter to you. At any point, if you used the service and purchased an album or a song, today is the last day to download that music. After today, if you don’t download the purchased music, the music will be permanently lost. At this point, if you want to know if you have purchased music, just look under collections (web player) or My Music (music app) and you can see if anything is there. If you have music to download you can do the following. Open the Groove app on your Windows 10 PC and select My Music. Press and hold (or right-click) the item you want to download and select Download. Find your downloaded files in File Explorer at This PC > Music > Purchases. Go to the Groove music site, sign in and select Collection > All music > Purchased music. Pick an item to download and select More > Download. You’ll get a notification asking what you want to do with your download. Select Save > Save as and pick a place to save it. After December 31st, The Microsoft Groove Music player will continue to work, if you want to use it to play locally stored music. What is being shutdown and what you are losing is the ability to play streamed music and to play and keep purchased music that you don’t download locally. NOTE: On a follow-up post, for those who no longer have a need for the Groove music player, we will list how you can uninstall it. It is possible to uninstall.